Southeast of Mexico City, on the Gulf Coast, you’ll find the exuberant port city of Veracruz. Hernan Cortes, the Spanish conqueror, first landed here on Good Friday 1519 and, soon after, Veracruz became the first Spanish settlement and base from which the Spaniards explored and eventually conquered Mexico. The state of Veracruz derives its wealth primarly from the huge amounts of trade and cargo ships docking at the city’s extensive ports; it also has rich, arable lands where fine coffee and tobacco are grown. The country’s oil stocks, drilled from wells beneath Mexico’s Gulf waters, is also managed from here. As a result of these lucrative industries, Veracruz has never strived to become a big tourist attraction; so it’s not as widely known by foreign tourists as other destinations in Mexico. This city is a hidden gem if you’re looking for an experience which is distinct from the traditional ‘tourist circuit’ of colonial cities. Besides being a place of character, it’s also colorful, lively and easy-going. Nearby Veracruz you’ll also find one of Mexico’s finest archaeology parks: El Tajin. The state is host to Mexico’s highest volcano, “Pico de Orizaba“, the second highest volcano in North America. Other adventure tours including mountain climbing, white-water rafting and sports fishing are all easily accessible from here, too. Veracruz is a surprising city. 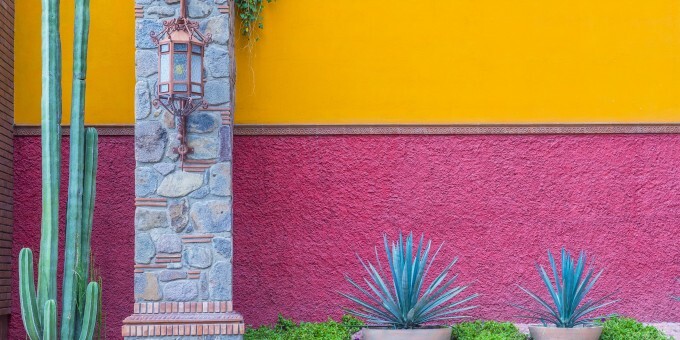 Away from the traditional tourist trail, it offers a unique experience in Mexico: a relaxed atmosphere with a lively heart and soul. Some people spend their whole vacation here and enjoy the stress-free ambience; some pass through for a few days as part of a wider travel experience. Either way, a visit to Veracruz will reward you with an enjoyable, fascinating and authentic insight into Mexico. The high-speed toll road which connects Veracruz to Mexico City (also passing the colonial city of Puebla), makes Veracruz easily accessible from the capital in addition to regular flights to/from Mexico City and elsewhere. Veracruz’s main plaza, the Plaza de Armas (Plaza of Arms), is situated in the middle of the city; it is a handsome place, featuring palm trees, a colonial fountain and beautiful arches. The cathedral faces the Plaza de Armas, as does the Palacio Municipal, and various other majestic civil buildings including the Correos y Telegrafos (post office) building and the Aduana Maritima (Maritime Customs) building. The plaza is also the hub of Veracruz’s social scene, and at night, when the temperature cools, the plaza comes alive with music, dancing and street entertainers. One of Latin America’s largest aquariums is a major attraction in Veracruz. It is host to nearly 25 tanks, some containing saltwater, some containing freshwater. You’ll see species of marine life native to the Gulf of Mexico, including barracudas, sea turtles, manta rays, tiger sharks and manatees. Called simply, El Acuario, you’ll find this on the south-eastern edge of town. A visit to Veracruz wouldn’t be complete without a leisurely stroll along the boardwalk. This is a great place to watch the locals as they engage with family and friends. Enjoy some ice cream as well, vendors are everywhere. If you’ve ever watched the late 1980’s film “Romancing the Stone” with Michael Douglas and Kathleen Turner, you’ve already seen parts of this fort (towards the end of the film, in the scenes leading up to the alligator swallowing the jewel). The fort was built by the Spanish (the original construction began in 1565 and was expanded several times) to protect against pirates and, later, was also a defense against foreign invaders. This fort was also the Spaniard’s last foot-hold on Mexico: the last Spanish troops retreated to here before being finally expelled by the Mexicans circa 1825. After Mexico’s war of independence, the fort later became a notorious prison, especially during the Porfirio Diaz era. Many of the prisoners sent here never lived to be released, because of the harsh conditions, including tuberculosis and yellow fever that were rampant at that time. Today, the fort complex has been converted in a museum and is a major tourist attraction in Veracruz. It’s easy to get to and is well worth a visit when you are in Veracruz. For a small admission fee you can wander around the fort and old prison and get a feel for the history that unfolded around its walls. English-speaking guides are on hand and, for a small additional fee, will give you a guided tour which may well include a good dose of folklore in addition to historical facts. The Museo de la Ciudad de Veracruz (City Museum) houses excellent displays about the city’s colonial history through to present day. Originally a Naval Officer’s school, the Museo Naval (Naval Museum) was restored and open in 1997 to record Mexico’s Naval History and Evolution. The beaches here are not that attractive—you’ll have to travel about 4 miles south of the Veracruz to Playa Macambo to see improvements in the beaches. If you are at Playa Macambo, also be sure to visit Boca del Rio, a fishing village that has some of the best local seafood to be had. What better way to finish off a day at the beach than fresh seafood and a cold drink. For divers, some of the waters in this area have been listed as national parks and, besides the reefs, you’ll also be able to explore some underwater shipwrecks. Adventure holidays from Veracruz are becoming more and more popular, given the regions excellent natural climate and topography. River rafting and mountaineering are two favorites. Local sports fishing is a popular activity here and is becoming more popular with each passing year. By Air – You can fly to Veracruz from the US and and other points in Mexico including Mexico City and Oaxaca. The international airport is about 5 miles (8 km) south of the city center. Ground transportation is available from the airport into town; buy your tickets from the booth inside the terminal building. For detailed information about flights and flying, see the Mexperience guide to Air Travel in Mexico. By Bus – You can travel to Veracruz on a luxury bus from Mexico City – the trip takes around 5.5 hours. Veracruz is a major bus hub for the eastern Gulf coast of Mexico and you’ll be able to travel efficiently by bus around Mexico’s entire Gulf region from here if you want to. For detailed information about bus transportation read the Mexperience guide to Bus Travel in Mexico. 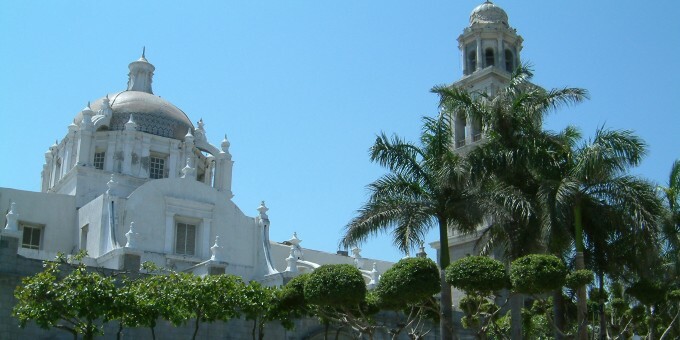 By Car – Driving to Veracruz is very fast and efficient using the many high-speed toll roads which connect this region. See additional information about Driving in Mexico and Mexico’s Toll Roads on Mexperience for more details. Local Buses – City buses run regularly and are a reliable means to see the city. There are also touristic buses (Tranvia La Bamba y La Marimba and Turibus) that hit all the city highlights and also allow you to hop-on and off as you wish. Nine Days before Ash Wednesday (February or March) – Veracruz hosts its famous Carnaval (Carnival) at which time the city buzzes with life, music, dancing, food, performances, culture, fireworks, arts and crafts and much more. This is a really busy time in Veracruz, so book early if you want to see this grand festival! Afro-Caribbean Festival – This is one of the State’s largest festivals which takes place on varying dates each year – check the organizer’s web site for details: www.ivec.gob.mx. Various Caribbean countries participate and the weeks feature dance and music, film, art expositions and business fairs. Exchanging Currency: Banks with ATM machines are found throughout the downtown area of Veracruz; some hotels also have ATMs (additional fees may apply), and you can also find them at the shopping center next door to the World Trade Center in Veracruz. During business hours, they and the local Casas de Cambio will buy traveler’s checks and cash from you as well. For detailed information about exchanging and managing your money, read the Mexperience guide to Money in Mexico. Holiday Periods in Veracruz: A lot Mexican people holiday in Veracruz; you are likely to see very few foreigners here! This means that during the school holidays (December-New Year, Easter, Summer between end of June and September) Veracruz is very busy indeed. It’s quite possible that your travel plans may coincide with some of these dates, especially if you have a family and take your holidays during school breaks, so be sure to book well ahead of time during these peak periods. Being a port city, Veracruz is famous for its pescado y mariscos (fish and shellfish). One typical dish is huachinango a la veracruzana, red snapper simmered in tomatoes, onions, garlic, green olives and capers. Some of the best seafood can be found in Boca del Rio among the many family-run seafood shacks on the beach. Gran Cafe de la Parroquia. A great place for coffee or traditional lechero overlooking the port. Regional cuisine with exceptionally tasty picadas y gordas. Paseo de Malecon between Hotel Hawaii and Hotel Emporio. Serving breakfast, lunch and dinner daily. Tel: (229) 932 2584. Gran Cafe del Portal. Regional cuisine. Av. Independencia 1187, across from cathedral. Tel: (229) 931 2759. Palapa Reyna. Seafood. Try the fresh catch of the day. Open-air dining. Playa de Hornos. Villa Rica. A popular Seafood place; specialties include mussels, grouper, crab claws and octopus. Open-air dining. Live music. Calz. Mocambo 527, Boca del Rio. (229) 922 2113. Veracruz comes very much alive at night: As the sun sets and the sweltering daytime temperatures give way to cooler evenings, people prepare for an evening of music, dance and merriment. There’s a good variety of nocturnal entertainment in Veracruz to keep you up into the early hours. The best atmosphere and buzz at night surrounds the main plaza (zocalo) where Marimba music and dancing takes place. You’ll find several curios shops in and around Veracruz, some selling local crafts. The state of Veracruz is famous for fine coffee grown in the region and Mexico’s best cigars, produced locally from the leaves of the tobacco grown in the state. As a city on Mexico’s Gulf Coast, Veracruz enjoys mostly, hot, sultry and humid weather. In the winter months, ice-cold winds blowing down from the north (popularly referred to as “nortes“) can cool the temperatures right down and make the city quite cold. It’s especially hot in May and June. Humidity drops a little further inland. The climate is ideal for taking part in a variety of outdoor activities and for taking in the local culture, architecture and scenery; be sure to keep yourself hydrated. The rainy season is April thru November, but as with most monsoon areas, rains tend to be fierce and brief in the late afternoon, leaving the evenings dry and cooler.